You can add vegetables like carrot,cabbage. 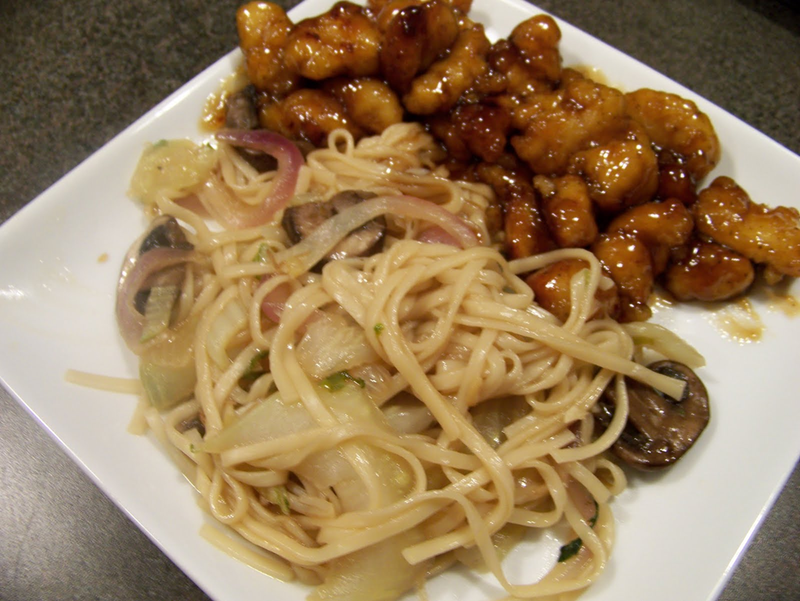 capsicum and broccoli to the following chicken lo mein recipe. For me, chicken is a must for this dish and I mostly skip vegetables because of kids otherwise, I am in love with all veggies. To prepare sauce, in a bowl, add 1 cup chicken stock, 1 tbsp. corn flour starch, salt and pepper to taste, 1 tbsp. soya sauce and 2 tbsp. oyster sauce and mix it properly. In a pan, heat 2 tbsp. oil and sauté chicken strips in it. When chicken is properly cooked, let it reach its boiling for 1 to 2 times and then add prepared sauce in it. When sauce has thickened, mix ½ cup finely chopped spring onions and 1 tsp. sesame oil together.